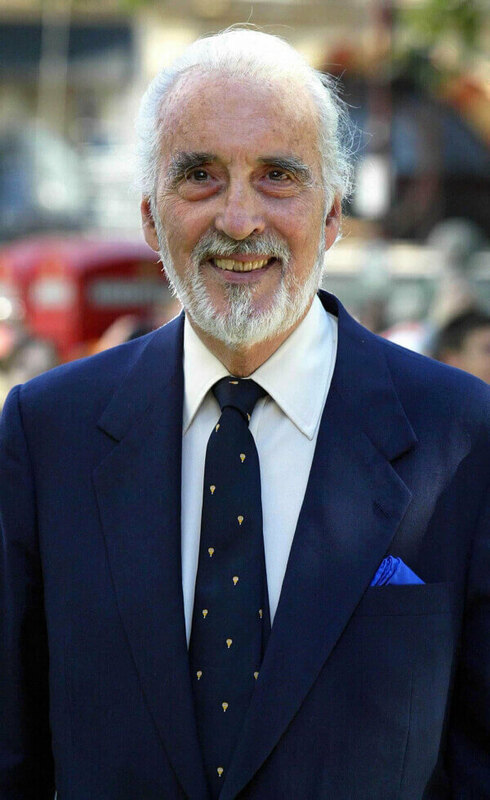 Opinions on Christopher Lee ? One of my fav actors . . Gotta admit . .
Two of his best roles are King Haggard ( actually a voiceover . .) in "The Last Unicorn" . . .
. . and Saruman in LOTR . .
Do not forget Dracula . . Sorry , couldn't resist with the vid . . .
lol . . I think Vlad Tepes Dracul ( Vlad the Impaler ) would be HONORED to see Lee portraying him so accurately . . .
What's your opinion on the man? On a side note , are some of you familiar with the movie "End Of The World" ( 1977 ) ? In the movie the earth explodes . . . He also played a major role in that movie , yet it is one of his less prominent ones . . Always portraying 'evil' . . .
. . while in reality he must be quite a nice guy. Christopher Lee is an excellent actor (although I guess I should say was, since he's dead), and I loved his performances in the old Dracula movies, in The Man with the Golden Gun, and especially in the second and third films of the Star Wars prequel trilogy. I'd even go so far as to say one of the best actors ever ( well , maybe except for Alec Guiness ) . . . . 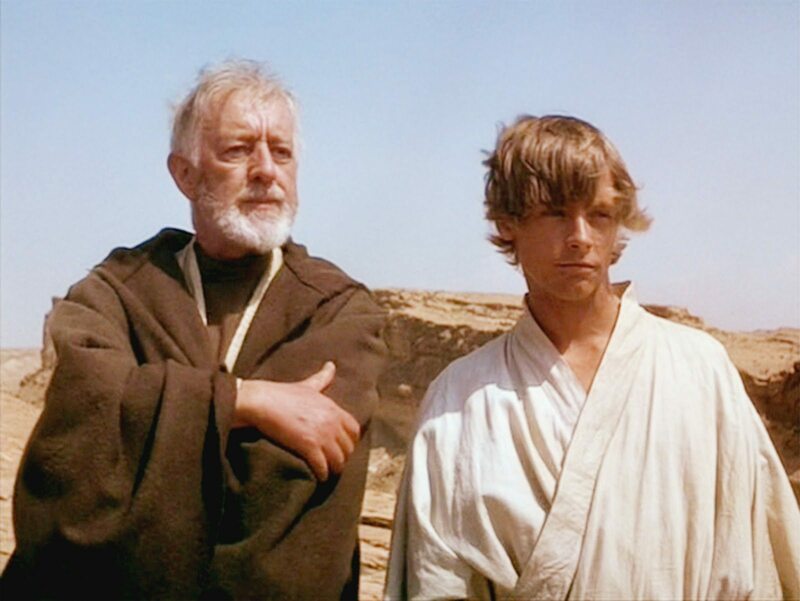 Wait a minute , that's Sir Alec Guiness to you !!! He was knighted for his acting talent . . . The irony , since both Lee and Guiness played in the Star Wars saga . . . Although A LOT of time lay between their two roles . . .
. . even when you go by the Star Wars horology . . .
On a side note , I always wondered what maybe a mix between Vlad Tepes Dracul ( Count Dracula ) and Count Dooku might look like . . . I suppose Christopher would have managed that too . . .
Count Dookula , maybe ? 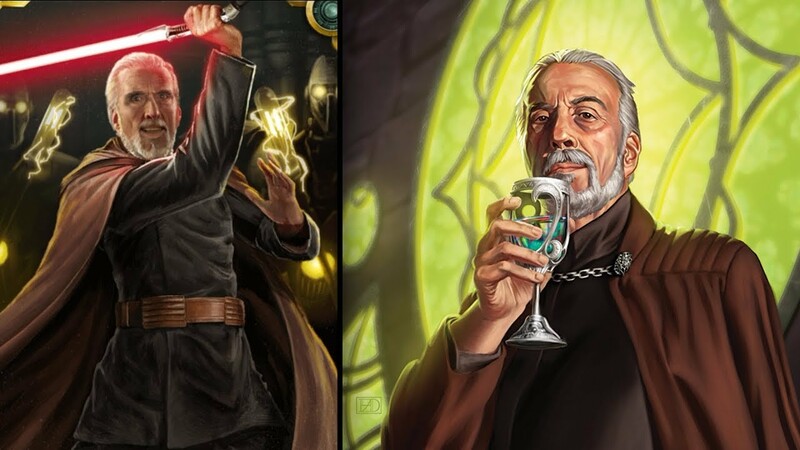 Lee always played 'evil characters stemming from nobility' . .
See King Haggard , Dracula , Dooku etc . .
Actually I even wonder if the Star Wars makers came up with the character of 'Count Dooku' just to have a role fit for him . .
Last edited by ColdFire; October 22nd, 2018 at 06:13 PM. 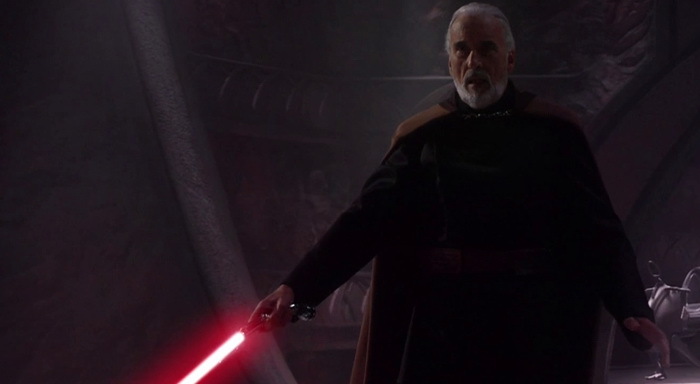 Christopher Lee's masterful portrayal of Count Dooku added so much to the already excellent Attack of the Clones. Yes, I know that critics savaged the movie, but I thought it was great despite some weak love scenes between Anakin and Padmé. Yes , I also have still in mind ( from the publicity back then . .) how the movie was tormented . . It was even re-named 'Star Love' back then and some critics even went so far as to compare the 'love scenes' between Anakin and Padmé to Melrose Place . .
You have to watch the whole trilogy . . Then it makes sense . .
For the record , I always thought the characters Count Dooku and Saruman were quite similar . . .
Just the timeline separates them . . .
Star Wars is an epic battle 'good vs evil' set in a futuristic time ( space age ) while LOTR is an epic battle 'good vs evil' set in ancient times. I wrote treatises about them and even a supposed connection to our real world here. 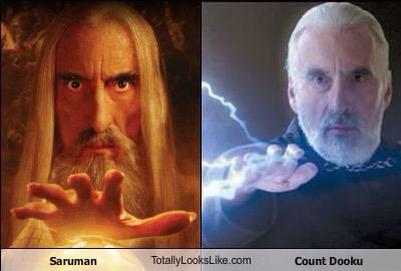 Now , who do you think might win in a celebrity deathmatch Saruman vs Dooku ? . . concerning this thread on Lee . . I remember once having read that Lee's family tree was traced back generations ago , claiming that he and his family would be more of less direct descendant of Carolus Magnus..... Wow . . In a way , no wonder he always was into playing 'charismatic figures from nobility' . . I thought Christopher Lee was a good actor. Of course I remember him mostly for the Dracula movies and as Scaramanga from The Man With the Golden Gun. The last movie I saw him in was called Goliath Awaits made in 1981, about the survivors of a Titanic-like ocean liner sunk in WW2 where they were found 40 years later living inside the wreck at the bottom of the sea and they somehow generated a breathable atmosphere, grew crops for food, etc. Absolute Jew dominance in the "entertainment industry". , starve the beast. Hmmm . .that movie sure looks promising. . I for one will be sure to check it out . . Thanks , Ray . .
Sry , couldn't resist . . .
Must be from Ghostbusters II--I didn't watch that one. Or it was from the first one, I don't remember that scene. Yes , that may be true . . The medium 'movie' has been in N.W.O. hands from the beginning . . Yet , tbh , I still think Lee was a good actor and , by taking a closer look , the movies I especially like from him I think do not have that much to do with N.W.O. propaganda ( like 'Dracula' being merely a historical treatise on the legendary Vlad Dracul etc . .) . .
What I agree with though is that most movies where 'keepers of the law' are 'held up high' sure are N.W.O.-propaganda ( to maintain the 'status quo' . . ) . .
Lee was excellent; he was particularly great in LOTR and The Wicker Man, which was his personal favorite. He was what Vincent Price wished he could've been. . . that was from the first one . .
. . he was particularly great in LOTR and The Wicker Man, which was his personal favorite. ‘The Wicker Man‘ was his personal fav. ? He himself didn't favour 'Dracula' . .?
. .I think this guy IS Dracula (if you go by cinematic standards , lol . .) . . He himself didn't think Dracula ruled . .?! Annoying . . most annoying . .
Mr Wint and Mr Kidd - "Most Annoying"
An interesting fact about Lee . . people from the non-German speaking world may never have known that but in 'The Last Unicorn' where he voiced 'King Haggard' he ALSO voiced him in the German version , in a relatively accent-free German ( ! ) . . It would appear he was very keen on German . . Excellent job . . Anyway, episode 14 of space1999. Last edited by jaekel; 2 Weeks Ago at 10:41 PM. Christopher Lee (real name: Christopher Frank Carandini Lee - whose mother was of Italian ancestry ) shown here trying to kill "John Steed" (Patrick Macnee) in a 1967 episode of "The Avengers". Page generated in 0.13739 seconds.